The cutter with the registration B-1585 was built in 1904 at Concarneau for a fishing fleet in Brest/Brittany. The ship was active in herring fishing until about 1949. Afterwards the hull was seen for many years decaying in the mud of the Brittany coast. 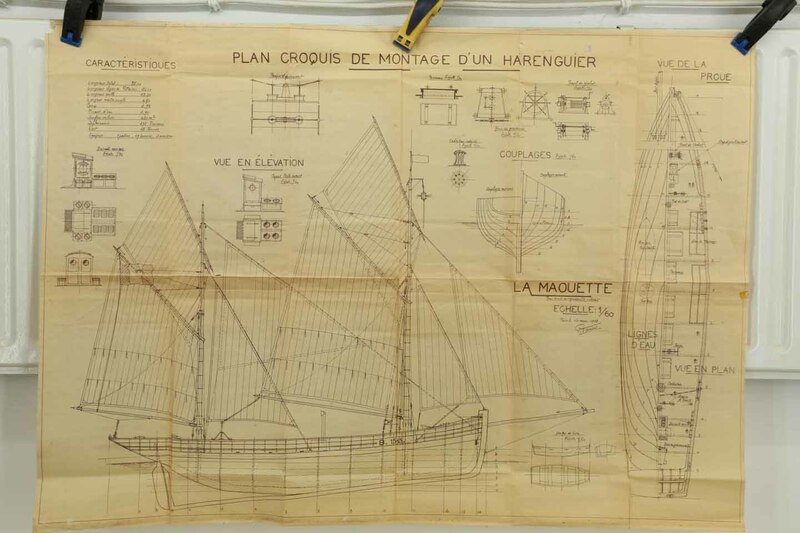 The ship model was built to a plan of the Musée de la Peche in Concarneau. 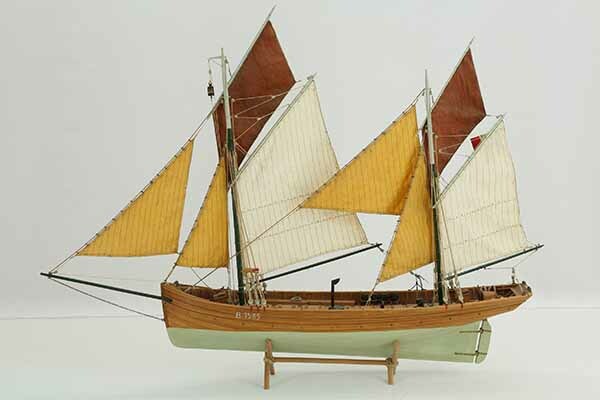 This model of Breton fishing boat a beautiful, fine piece of work, especially in detailing the rigging and sails. The ship model is 1 : 60 scale. Length is 78 cm, width 15 cm, height 60 cm.